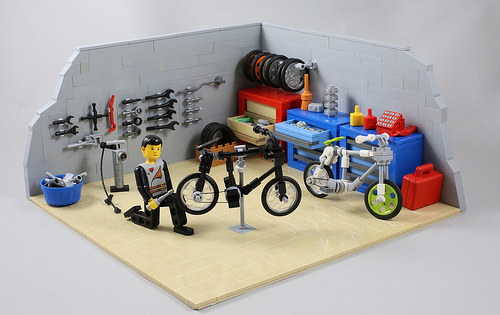 Here’s a fun vignette from Elspeth De Montes of a Technic figure bike mechanic working on his bicycles. Open drawers and containers full of tools and parts make the scene lively, but the bicycle model is the highlight here, showing off the excellent use of various bars, clips, and even a ray gun for the frame. Perhaps the most notable parts usage on Elspeth’s bicycle is the clear pulleys as wheels, which she says was inspired by a fellow builder. 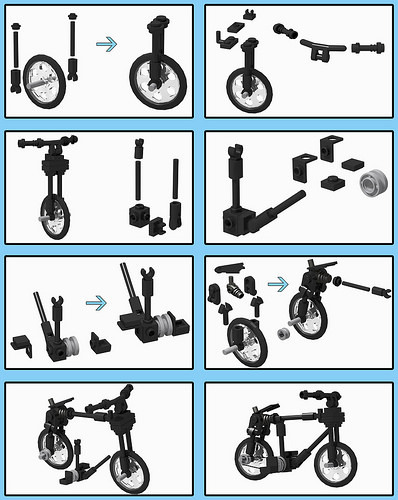 Elspeth’s bicycle model is fantastic, and you can build your own with this step-by-step breakdown. Wow, the bicycle is an amazing design!